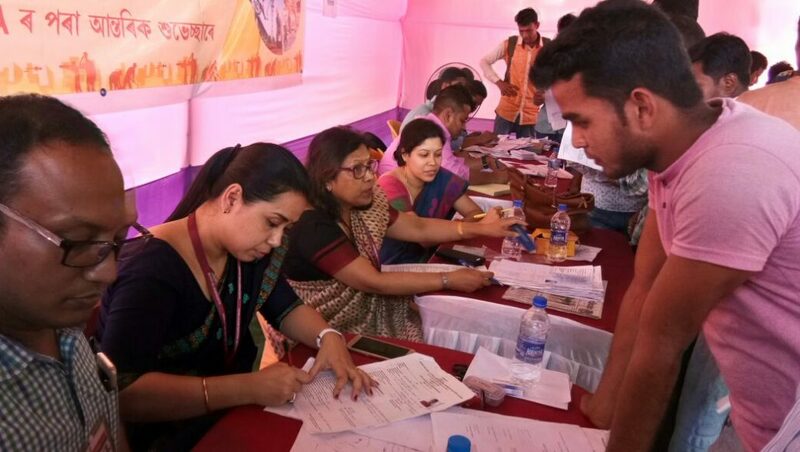 The office of the Assistant Labour Commissioner, Kamrup (Metro) in collaboration with Guwahati Metropolitan Development Authority (GMDA) and Assam Real Estate Industrial Development Association (AREIDA) organized an on the spot registration camp for construction workers on Thursday at Uttarayan Ville, in Guwahati under Building and other Construction Workers (RE & CS) Act. Around 150 numbers of construction workers were registered on the day. The registered construction workers shall be eligible for various welfare benefits like medical assistance, disability pension (one time Rs 3,00,000), general pension, family pension, critical disease (Rs 1,50,000), death benefit, marriage assistance, maternity benefits, education assistance for beneficiaries of not more than two children, insurance coverage, house building advance, tools purchasing loan etc to be provided by Building and Other Construction Workers Welfare Board. Spot registration camp will also be organized on March 17 next, at Shine Seven Developers, at Kahikuchi in Guwhati and on March 23 next at Greentech Projects, at Sixth Mile in Guwahati, according to a press release. The Labour Commissioner, Assam, T C Sarma, IAS appealed to all construction workers to register themselves in the Labour Office of their home district or work district and requested all contractors, builders and employers to engage only registered workers. The Assistant Labour Commissioner of Kamrup (Metro), Labour Officer, Guwahati, Labour Inspector, Guwahati registered the construction workers. The town planner of GMDA, P K Sarma, president of AREIDA and representatives from AREIDA were also present in the camp. A health check-up camp was also organized for the workers and bank accounts were also opened for construction workers on the spot. 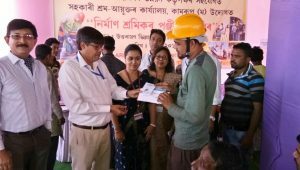 The Labour Commissioner, Assam also handed over the I D Cards and bank passbooks to the registered construction workers, the release added.